Open up the doors under any sink in your home and you will most likely find clutter. Bottles you have long forgotten, half emptied cleaning products that you no longer use, nail polish that dried up long ago, and medical supplies you brought home from the hospital after having your first child…10 years ago. Cabinets under a sink get easily cluttered because the spaces are often dark and hard to reach, with items becoming lost or forgotten in the back. Organizing solutions can range from expensive custom pull out drawers to a few less expensive products to help keep the clutter in check. Plan a day on your calendar to tame the clutter. Begin by taking everything out and sorting like items as you go. Once sorted, have containers ready to hold items you are purging for donation, recycling, or trash. Your goal is to be able to see your space and know what items must be put back. Once all the items are out, sorted, and purged, clean the cabinet and take pictures and measurements of the under the sink area. Measure carefully so you can select organizing products that will fit based on drain pipes, garbage disposal, and even the door hinges. Consider usable space in front of, behind, and below pipes by documenting the measurements. Now you are ready to go shopping! When looking for under the sink storage solutions, you will find some products marketed for just that purpose. You can also purchase multi-purpose items that function perfectly in odd shaped or hard to reach spaces. I really like pull out drawer solutions for under the sink as I prefer not to have to reach all the way in the back to get what I need. Below are a few products specifically designed for tricky cabinets and other multi-purpose tools that will help you sink your clutter. Look for KUPOL products from IKEA sold individually and available in many sizes. You can create functional configurations with these drawers. Stacking Drawers from The Container Store® come in two different sizes and a few color options. Use a larger one on the bottom of the cabinet and a smaller one stacked on top in the narrow space between pipes and cabinet wall. A pull out option is this Expandable Undersink Organizer which I have personally used and really like. I do think it suits the storage needs under a kitchen sink rather than a bathroom. Lowes® sells a brand called Rev-A-Shelf (most options online) that has a wooden door organizer you can install on the inside of your cabinet door for extra storage space, but nothing for under the sink where piping is an issue. The DecoBros Under Sink 2 Tier Expandable Shelf Organizer has great reviews and gives you some additional shelf storage. It is more heavy duty than the Expandable Undersink Organizer above, but offers no pull out drawer options. Once you have purchased your organizing products, you are ready to install them and give your saved items a new place to call home. Voila! 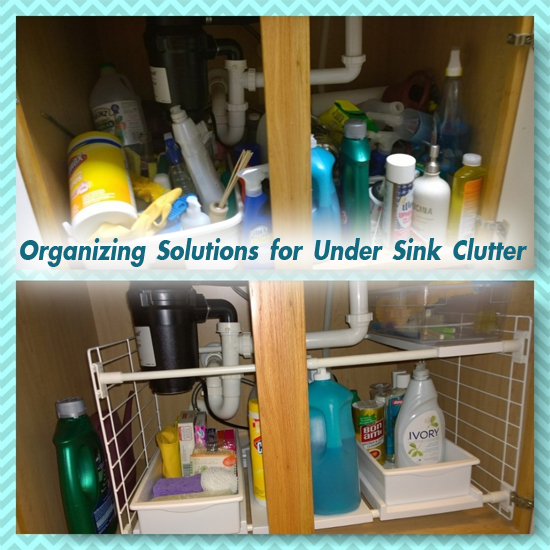 With a little time and careful planning, you will get over the clutter under your sink. 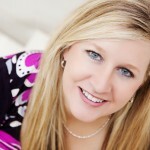 Lorraine Brock is a professional organizer, family coach, speaker, and founder and owner of Get Organized! Get Organized! is a professional organizing company in the Dallas, Texas area. Get Organized! specializes in organizing and de-cluttering homes as well as implementing systems in the home for better family management. A popular media guest, Lorraine has appeared on Dallas’ two top morning television shows: Good Morning Texas and Good Day Fox, and has been featured on various radio outlets. 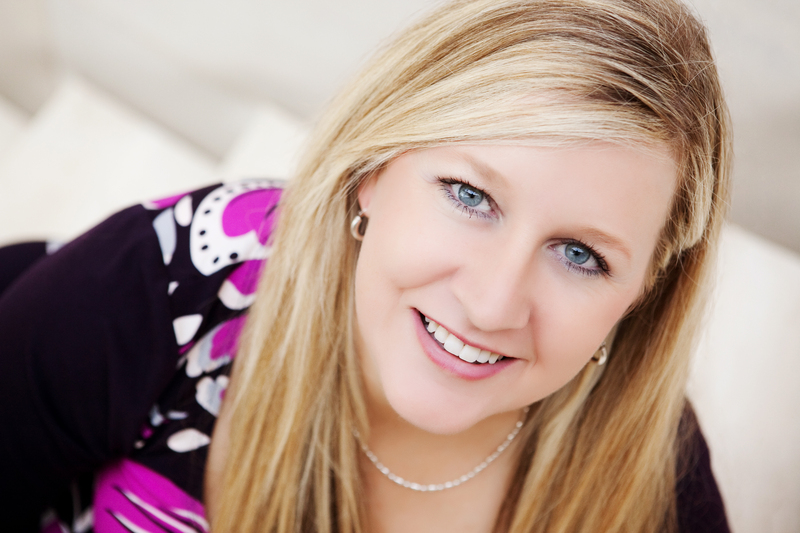 She has been hallmarked in many local, regional, and national print and online magazines, such as the Dallas Morning News, The North Texas Kids Magazine, SheKnows.com, and Daily Candy Kids. To get more information about Lorraine, visit www.GetOrganized.ws. You can connect with Get Organized! on Facebook, follow Get Organized! on Twitter and connect with Lorraine Brock on LinkedIn.